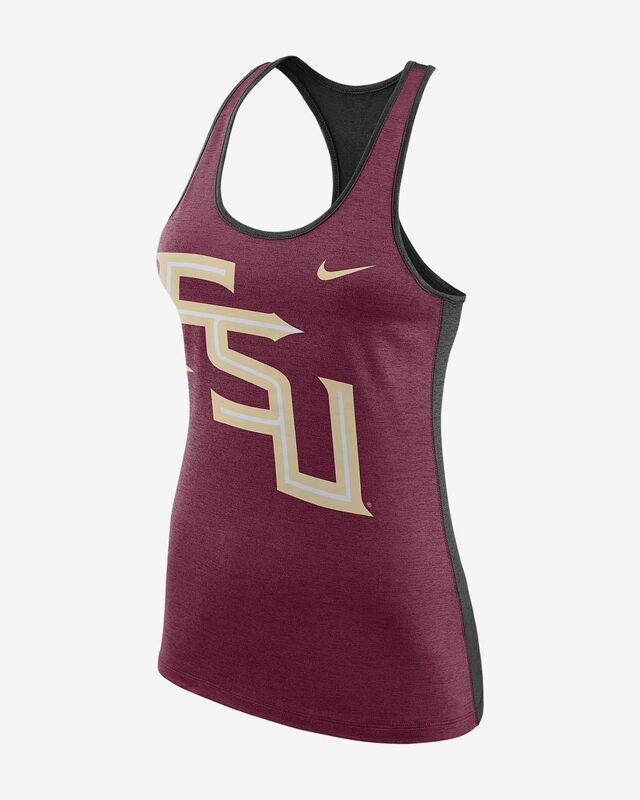 The Nike College Dri-FIT Touch (Florida State) Women's Tank features school details on sweat-wicking fabric to help keep you dry and comfortable. 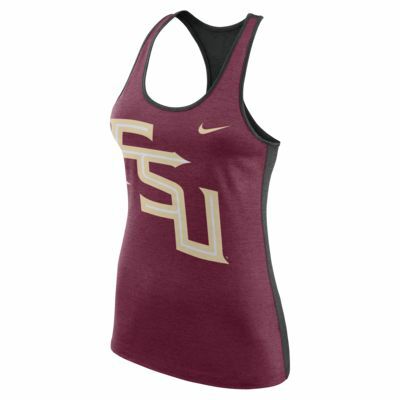 The Nike College Dri-FIT Touch (Florida State) Women&apos;s Tank features school details on sweat-wicking fabric to help keep you dry and comfortable. Nice Quality. My daughter loves it and I got it at a great price! Do you hit a Saturday morning workout before the game like I do? Nothing more awesome than supporting your team by wearing a sporty tank top to your workout. This buckeye tank is dark gray in the back and red in the front. The fabric is soft but thin. I love the fit though, it doesn't hug too much or isn't too baggy. The only worry I have is the block O. it is an iron on type feel that I can see would crack and get worn in the wash after awhile. that is my only grip about it.